Check Out Muller Volkswagen’s Price Match Guarantee! We will match any advertised or written price on in-stock units from local dealerships. It’s that simple! These days with busy schedules, it can be a hassle to go car shopping. Instead of driving all over town to look at Volkswagens, take advantage of our dealership’s Price Match Guarantee! You can do your shopping online, find the lowest price, then come here and we’ll match it. Talk about a time saver! 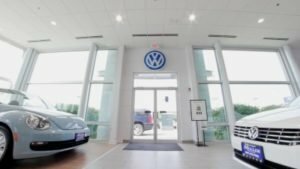 So when you shop for a Volkswagen Passat, Jetta, Golf, Tiguan, Alltrack or other VW in Highland Park, Libertyville or vicinity, always know that our dealership will match the price. Save gas, time, and trouble. 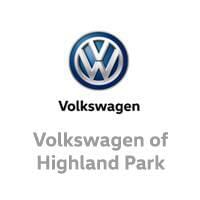 Muller Volkswagen can sell you the VW you want at the lowest price. Incredible Volkswagen Service – Muller Means More! Buying your new, used or Certified Pre-Owned Volkswagen at the best price is huge. Team that with our exceptional customer service and you’ve got a winning combination! Our sales staff works as your guide to all of the outstanding features that Volkswagen offers. Have a growing family? Need a dependable ride? Want something that’s sporty? Let our consultants show you the Volkswagen models that fit your needs. Plus you’ll love our amazing Volkswagen financing deals, too. So not only will you get the best price on the car you want, you’ll be able to finance it easily, too. Once You Buy Your Volkswagen – Take Advantage of Our Fast Service! And while price is definitely important, once you become a Volkswagen owner, you’ll want the easiest (and fastest) way to keep your new car running great. We recommend our Volkswagen Service Xpress which provides you the benefit of our expertly trained technicians, with no appointment necessary. 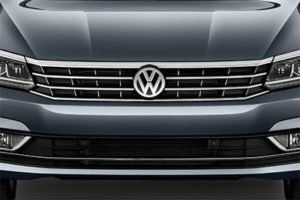 See all the Volkswagen services we provide with no need for a scheduled visit! You’ll love the time savings because you can stop by with your car when you’re out running errands, for example. Our techs can take care of what you need fast, and you’ll be back on the road! Our Price Match Guarantee can get you in the Volkswagen you want. And all of our other great services make owning your Volkswagen a special experience. Stop by today and see us at Muller Volkswagen. It’s time to join the Muller Family!